Valencia Bonita is a new 55+ community coming to Bonita Springs, Florida. GL Homes will build 997 residences sprawled across 347 acres of lush landscape. As the first Valencia community in Southwest Florida, homeowners will enjoy stunning, low-maintenance home designs from a quality homebuilder. Valencia Bonita will also offer active adults a beautiful clubhouse that will have resort-style amenities for the ultimate in recreation and relaxation. GL Homes plans to start construction for this age-restricted development in the Spring of 2017. At the center of this attractive 55-plus community will be the proposed waterfront clubhouse featuring world-class amenities. The 45,000 square-foot clubhouse will host indoor amenities such as an arts and crafts studio, fitness center, grand ballroom, billiards, card room, sports lounge, cooking studio, and tennis pro shop. Outdoors, the amenities will include an indoor/outdoor cafe, bars, patio, resort-style pool, lap pool, resistance pool, whirlpool spa, and wading pool. Residents will also have plenty of recreational facilities for sports and activities like tennis, pickleball, bocce ball, and basketball. In addition, Valencia Bonita will offer a dog park, fire pit with seating, and walking and biking trails that meander throughout the community. GL Homes offers 20 distinct attached and single-family floor plans, perfect for active adults. All homes enjoy waterfront, garden, or preserve views as well as come with standard features like screened and covered patios, luxurious master suites, walk-in closets, and inviting living areas. Residents love the open layouts and functional designs that are ideal for living comfortably and entertaining guests. Homebuyers can choose from five unique collections: Signature, Regal, Vintage, Crown, and Classic. The Signature Collection includes five attached home floor plans that range in size from 1,738 to 2,024 square feet of living space. These homes include two to three bedrooms, two to three baths, and an attached two-car garage. They also include screened covered patios and large great rooms for entertaining guests. The Regal Collection of single-family homes includes four floor plans sized 2,015 square feet to 2,253 square feet. They include two or three bedrooms, two or two-and-a-half bathrooms, and an attached two-car garage. Options include dens or optional extra bedrooms, covered entryways, and master-on-main suites. The Vintage Collection of homes offers five elegant floor plans that range in size from 2,199 to 2,646 square feet of living space. Homes in this collection have two or three bedrooms, two to three bathrooms, and attached two or two-and-a-half car garages. They come included with kitchen appliances, granite countertops in the kitchens and bathrooms, and luxurious tray ceilings in the master bedrooms. The Crown Collection of homes offers four plans that range in size from 2,615 to 2,882 square feet. They include two or three bedrooms, two-and-a-half to three-and-a-half bathrooms, and attached two-car or three-car garages. These well-appointed homes include extra features and options such as coffered ceilings, Roman tubs in the master bathrooms, and French doors that open to covered patios. The Classic Collection is the most opulent collection of homes in Valencia Bonita. With three floor plans ranging from 2,754 square feet to 3,350 square feet in living space, these homes include three bedrooms, three or three-and-a-half bathrooms, and attached three-car garages. Other options include club rooms, gourmet kitchens with appliances, large covered screened patios, walk-in pantries and extra storage areas. Designed like a resort, Valencia Bonita's lifestyle revolves around its waterfront clubhouse. With an on-site lifestyle director, residents are never short of fun and exciting activities year-round. With such events like champagne Sunday brunch and the Halloween Dog Costume Contest, residents will make fast friends with neighbors as they enjoy all this 55-plus community has to offer. Living an active lifestyle is easy with tennis courts, pickleball, swimming, biking trails, and basketball courts. Water aerobics classes can be found by those looking to stay in shape, and much more. 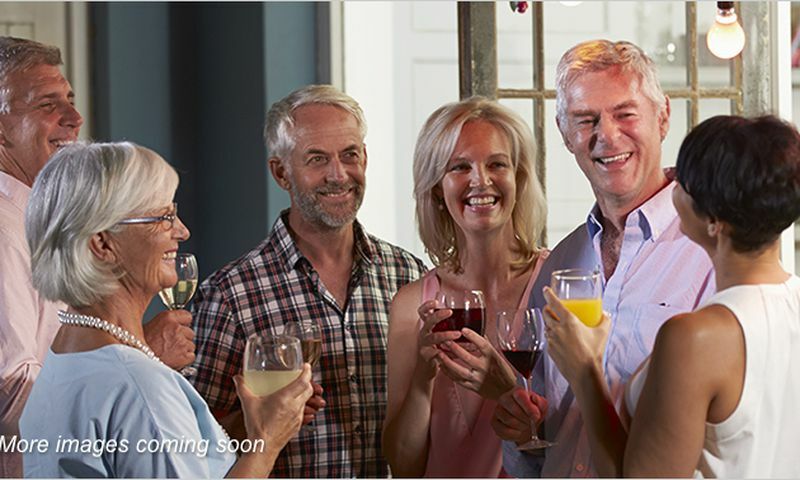 With a low-maintenance lifestyle and world class resort-style amenities, homeowners will be as social and active as they wish. Centrally located along Florida's Gulf Coast, residents have easy access to daily conveniences and attractions within the Naples-Bonita Springs area. Valencia Bonita is just minutes away from a Publix, Wells Fargo Bank, Home Depot, Culvers, Bed, Bath & Beyond, Walmart, and River Chase Plaza. Hospitals and medical centers like NCH Health Park and Physicians Regional Medical Center are a short drive away. Golfers love having several courses in the area such as Bonita Fairways Club, Bonita National Golf & Country Club, Palmira Golf Club, and Arrowhead Golf Course. Miles of sandy beaches stretch along the Gulf Coast and are perfect for outdoor recreation and are less than 20 minutes away. When traveling long distance is necessary, Southwest International Airport can be reached in 15 minutes. Valencia Bonita is an exciting retirement destination for active adults seeking a prime location within Southwest Florida. Clubhouse - 45,000 Sq. Ft. - Coming Soon! There are plenty of activities available in Valencia Bonita. Here is a sample of some of the clubs, activities and classes offered here. The Signature Collection includes five attached home floor plans that range in size from 2,485 to 2,781 square feet of living space. These homes include two to three bedrooms, two to three baths, and an attached two-car garage. They also include screened covered patios and large great rooms for entertaining guests. The Regal Collection of single-family homes includes four floor plans sized 2,919 square feet to 3,118 square feet. They include two or three bedrooms, two or two-and-a-half bathrooms, and an attached two-car garage. Options include dens or optional extra bedrooms, covered entryways, and master-on-main suites. The Vintage Collection of homes offers five elegant floor plans that range in size from 3,057 to 3,379 square feet of living space. Homes in this collection have two or three bedrooms, two to three bathrooms, and attached two or two-and-a-half car garages. They come included with kitchen appliances, granite countertops in the kitchens and bathrooms, and luxurious tray ceilings in the master bedrooms. The Crown Collection of homes offers four plans that range in size from 3,542 to 3,783 square feet. They include two or three bedrooms, two-and-a-half to three-and-a-half bathrooms, and attached two-car or three-car garages. These well-appointed homes include extra features and options such as coffered ceilings, Roman tubs in the master bathrooms, and French doors that open to covered patios. The Classic Collection is the most opulent collection of homes in Valencia Bonita. With three floor plans ranging from 3,818 square feet to 4,265 square feet in living space, these homes include three bedrooms, three or three-and-a-half bathrooms, and attached three-car garages. Other options include club rooms, gourmet kitchens with appliances, large covered screened patios, walk-in pantries and extra storage areas. 55places.com is not affiliated with the developer(s) or homeowners association of Valencia Bonita. The information you submit is distributed to a 55places.com Partner Agent, who is a licensed real estate agent. The information regarding Valencia Bonita has not been verified or approved by the developer or homeowners association. Please verify all information prior to purchasing. 55places.com is not responsible for any errors regarding the information displayed on this website.